Turning 50 means your IRA contribution limit increases. 3. Can I Contribute to an IRA If I Get Alimony? Just because you're approaching retirement doesn't mean you have to slow down on saving money in individual retirement accounts. Whether you prefer the tax-deferred savings offered by traditional IRAs or the after-tax savings from Roth IRAs, you can keep squirreling away money into your account. In fact, as you get older, your contribution limit goes up. The additional catch-up contributions for IRAs start in the year you turn 50. It doesn't matter when you turn 50 or when you make the contribution. 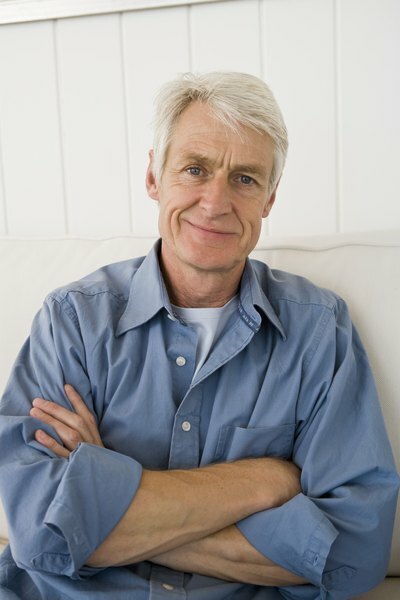 For example, if you turn 50 in December 2013, you can take advantage of the catch-up contribution even if you make your 2013 IRA contribution before you turn 50. As of 2013, the catch-up contribution equals $1,000. Your catch-up contribution just adds to your standard contribution limit, so if you don't have sufficient compensation, it won't make a difference. For example, in 2013, the maximum contribution is $5,500, plus a $1,000 catch-up contribution, for a total of $6,500. But, if you only have $5,000 in compensation for the year, you can only contribute $5,000. Compensation includes only your working income, like your salary or net self-employment income, and any taxable alimony received. Just because you're married doesn't mean you have to share your IRA contribution limit. Instead, each spouse can contribute up to the full annual contribution. But, the catch-up contribution is only available if that spouse is 50 or older. For example, say you're 52 and your wife is 48 in 2013. Your maximum IRA contribution is $6,500 but your wife's is only $5,500 because she isn't yet eligible for a catch-up contribution. You can't make any additional catch-up contributions to make up for prior years that you didn't make the maximum contributions. For example, if you hadn't made any IRA contributions in your 40s, you can't then make additional contributions in your 50s to make up for those contributions. If you try, the IRS treats them as excess contributions and charges you a 6 percent penalty each year the situation goes uncorrected.